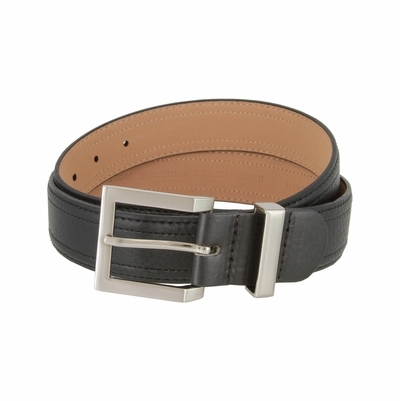 This men's double stitched edges pebbled designed leather casual dress golf belt is made with synthetic man made material. Belt is 1-3/8" = 35mm wide with 5 adjustment holes. And it comes with a stitched brushed nickel plated buckle.